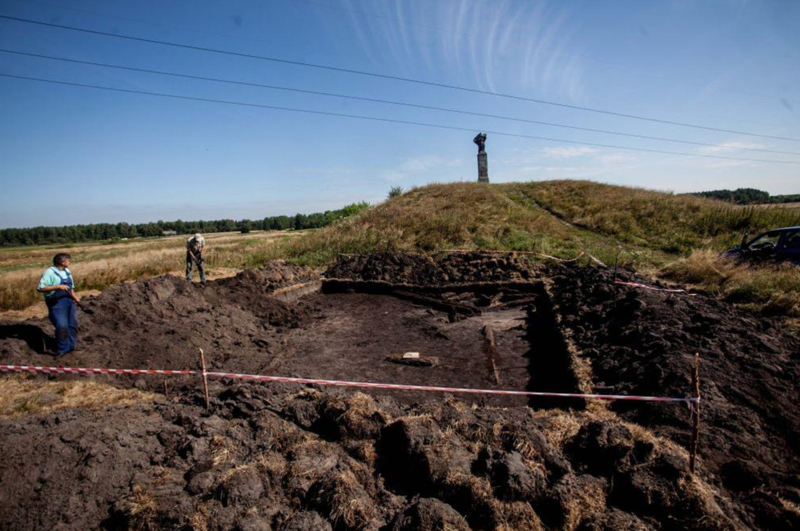 Poland's first bridge leading to a motte castle has been discovered by archaeologists studying Mound St. John in Włoszczowa (Świętokrzyskie Voivodeship). 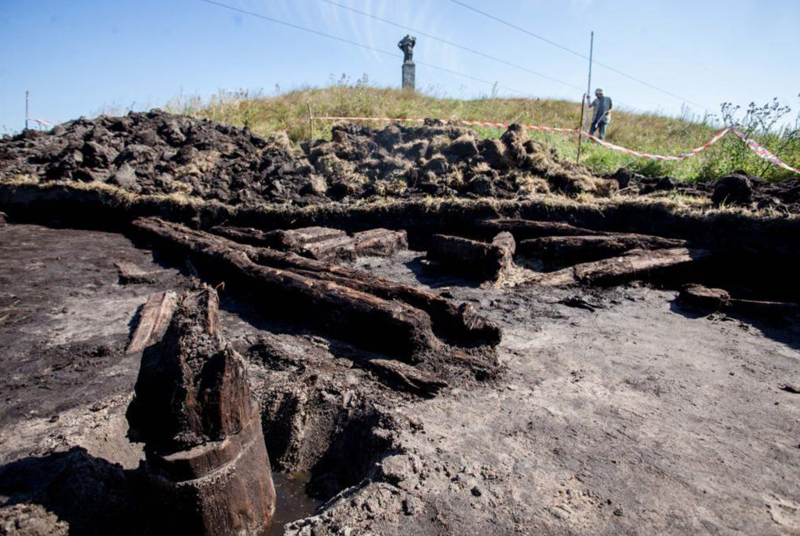 Dr. Czesław Hadamik from Kielce has found components of the crossing over the old moat. Dr. Czesław Hadamik told PAP that the remains of the bridge had been found by accident. "Last year, we conducted a survey to check the width of the embankment that surrounded the castle on the outer side of the moat. We learned then that was about 20 meters wide and 4-5 meters high. At the time we had found came only one pile of the collapsed bridge, this year we were able to find large structural parts. This sheds new light on the infrastructure of the time" - he said. He added that this was the first time archaeologists found a bridge leading to such a small defensive structure as a tower on a mound. "I'm glad, because it is the first structurally possible to identify bridge leading to this type of settlement" - Hadamik emphasised with satisfaction. 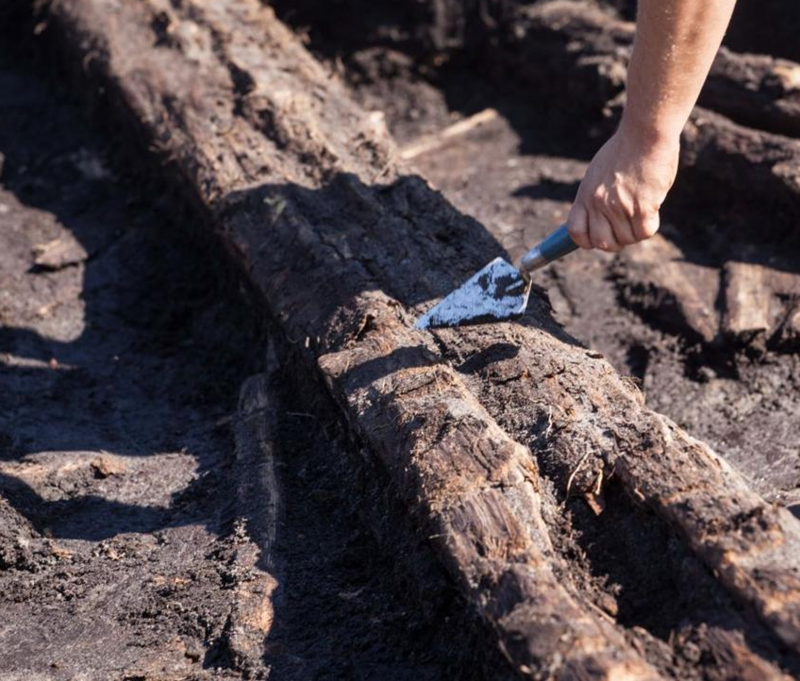 "This time we did a wide excavation in the middle of the old moat to capture at least the width of the bridge, we found several piles - supports of the crossing - and we know that it was about 2.5 metres wide. This indicates a footbridge between the embankment and the castle" - said Dr. Hadamik. The archaeologist explained that on the basis of the found fragments he would try to determine the various structural details of the so-called dovetailed joints of the individual elements of the crossing. "This bridge was built to be easily collapsed or burnt if necessary, to prevent possible invaders from entering" - said the archaeologist. He explained that in the case of the found items, there were no traces of fire damage. The crossing probably collapsed due to the motte having been left by its residents. According to the researcher, it can be assumed that this took place in the sixteenth century. Previous studies have shown that the wooden tower standing on top of the settlement suffered a different fate: it was burned. "We estimate that the castle was functioned for about a hundred years, plus or minus 10 - 20 years. "Szafrańcowie, who bought Włoszczowa, probably settled in the castle, perhaps at the same time building a far more extensive residence in the bailey less than one kilometre away" - said Dr. Hadamik. On the basis of the found pieces of the bridge the archaeologist plans to prepare a virtual reconstruction of the crossing. "Now we are waiting for the results of dendrochronological studies of samples. Such analysis allows to determine the time of of tree felling for the bridge support. Margin of error of such analysis is 5-10 years" - he said. Mound St. John is among the meadows, about 2 km northeast of Włoszczowa Town Square. It get its name from the figure of St. John of Nepomuk, probably from the eighteenth century, standing on a pedestal at the top. The human-made mound is around five-meter high, in the shape of a truncated cone with a diameter of about 40 meters. Włoszczowa is a district town in the western part of the Świętokrzyskie Voivodeship, with a population of about 11 thousand residents. It received its town charter by decision of King Sigismund I the Old in 1539. Mound St. John is the oldest and one of the few surviving monuments of the city.